SD/OW courses happen regularly at our shop. Watch our calendar for upcoming courses then register in person or by phone. Gear Rental excluding Mask, Fins, & Snorkel. Gear Rental does NOT include mask, fins, and snorkel. These items need to fit well in order to have a positive learning and diving experience. Utilize your student discount to purchase these items and then test them during class. Your instructor will teach you about dive equipment, the science of diving, responsible diving practices and the environment. 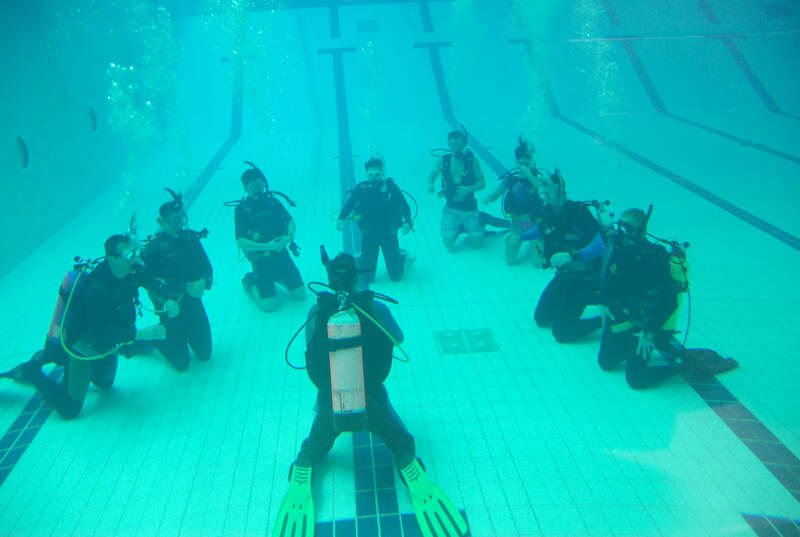 you will also learn many skills in the water with practice time for your safety and comfort, and complete your training with a minimum of four open water dives. 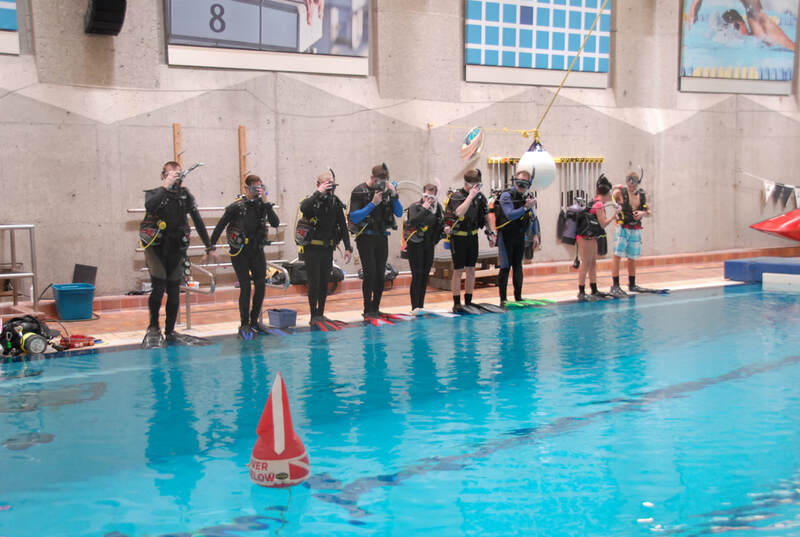 In the Open Water Scuba Diver course, you learn to use basic scuba gear, including a mask, snorkel, fins, regulator, buoyancy control device and a tank. Use of tanks, regulators, B.C. and weights are included in the course fees. Required equipment includes at minimum a mask, snorkel, fins, and boots. A 3mm wetsuit is nice also as the pool is cool and it is the same suit you will wear a lot of the places where you will be diving in warm water locations. We carries all of these items in stock and is happy to help you find everything you need. You get a 10% discount as a student and this is a nice opportunity to make sure the gear you buy is working well for you. 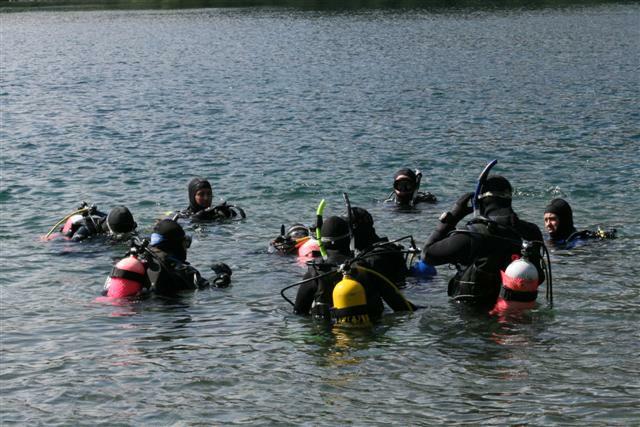 As long as you are 12 years or older and in good physical condition, you can enroll in a Open Water Scuba Diver course. Check out the dates on our calendar, pay a deposit to sign up for a class at the store, grab your bathing suit and get ready to have FUN! Once you become a certified diver, perhaps you want to further your training with an Advanced Scuba Diver or Rescue Scuba Diver course? Maybe you want to learn to use a Camera, take care of your gear better, or compass better by taking a specialty course. Perhaps you want to become a dive professional and go all the way to Assistant Instructor, Divemaster or even become an Instructor! Whatever your scuba diving needs, we can help you realize your dreams.